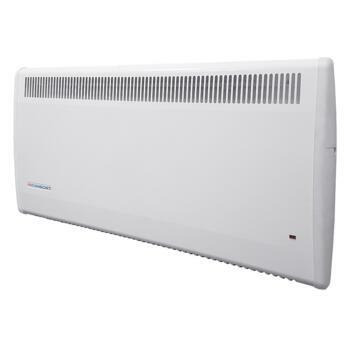 Consort Claudgen PLE white wall mounted electric heater with built In 7 day timer and electronic thermostat. 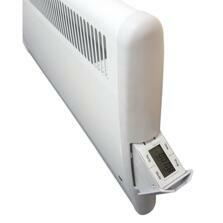 The timer gives a 7 day programme with 3 heating periods per day. 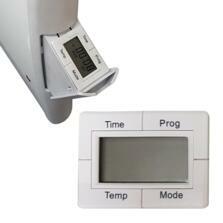 Digital control has an easily read LCD panel with four big control buttons giving tactile and audible feedback.